Getting the marketing right for your commercial property is a crucial step in securing the next tenant or buyer for your property. IME commercial property agents understands the value of commercial property marketing and ensuring that your commercial property is placed in front of a wide audience in order to transact the property within a quick timeframe. IME is skilled at commercial property management and provides a tailored service to suit landlords of all types of properties. We don’t just put up a marketing board and hope for the best. We have an extensive network of contacts and a database of potential tenants/buyers for properties. You can be sure that as soon as you give us the green light, we will be working hard to secure a quick result for you. We have fully embraced the digital era and have pioneered the use of social media in commercial property to market our clients’ properties. We are the only commercial property agent in Edinburgh to have a shop front displaying properties. With our unique shop front at Tollcross in Edinburgh city centre, you can literally walk in off the street to speak with any one of our agency team. We are always available to offer helpful advice or take on new instructions. We appreciate that when people make the decision to put their property on the market (and it is a big decision) they want to see a reaction. In all cases, we endeavor to be on the market within 7 days once the survey and photography work is undertaken. Our fees and marketing costs are discussed and agreed up front in line with client requirements and expectations. There are no hidden extras. The majority of our properties can be placed on the market under our standard terms we do however have various upgraded packages depending on the property and clients expectations. Please feel free to discuss with any staff member our available upgraded packages. 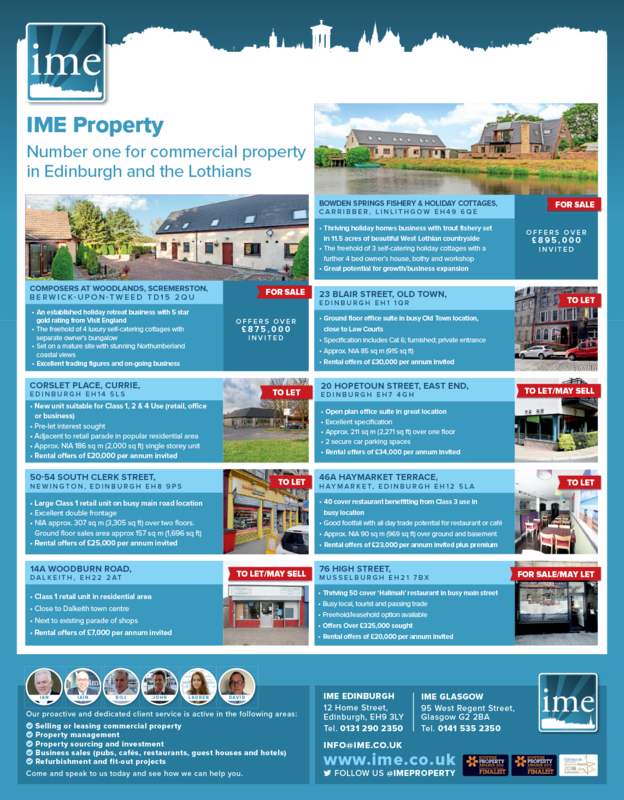 IME was one of the first commercial property agents to pioneer the use of social media channels to market its client’s properties. Whilst there is still a value in having a marketing board outside the property to raise visual/street awareness, the use of social media channels such as Twitter, Facebook or LinkedIn is an effective way to raise profile and extend the reach to a wider audience. Video tours are commonplace in residential property but the technology is in its infancy in commercial property. But IME is now offering this service to its clients for the property they are seeking to market. 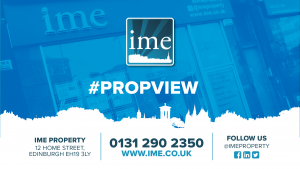 This short tour known as #PROPVIEW will give a visual insight to the potential tenant/buyer and will ensure the prospective can have a greater understanding of the property before arranging a viewing. IME is once again pioneering new and innovative ways in commercial property marketing.